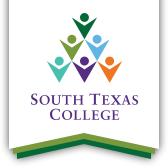 The Texas State Employee Charitable Campaign (SECC) recognized South Texas College with two distinct honors this month and lauded STC for its exemplary participation with SECC over the last 25 years. STC earned “Greatest Participation” and “Largest Per Capita Gift for a higher education organization” with 751-2,000 employees in the state of Texas for 2017. This is a repeat honor after the college earned the recognition for Highest Per Capita Gift in 2016. Greg Bennett, SECC state campaign manager, recognized STC on Sept. 17, 2018. Lizette Moreno, SECC coordinator for South Texas College. The SECC is one of the largest state employee campaigns in the nation. Created by the Texas Legislature in 1993, the first campaign was conducted the following year and raised $2,027,751. Since then, through the efforts and generosity of state employees, Texas agencies and higher education employees both active and retired have contributed $175.82 million through the SECC — providing aid to family, friends, neighbors, and countless others in need across the Lone Star state. South Texas College was one of the higher education institutions that helped establish the SECC in the Rio Grande Valley in 1993 and has since contributed more than $543,000 to support friends, neighbors, and communities across the state. The United Way Board of Directors has also recognized South Texas College as the No.1 State of Texas Supporter for 2016 and 2017. STC has also received recognition for Highest Percent Increase in Higher Education in 2017. Each fall, state agency, and higher education employees have the opportunity to learn about participating charities, choose which organizations to support, and submit pledge forms to indicate their contributions. During the 2017 campaign, South Texas College employees demonstrated their generosity by contributing $38,863.92 to support local, state, and national charities, which is 22% of total donations raised through the SECC in the Rio Grande Valley. South Texas College continuously ranks in the top three agencies/higher education as one of the largest contributors to the SECC in the Rio Grande Valley.